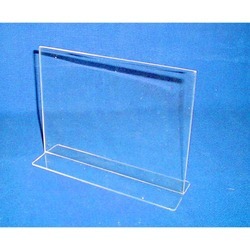 We are engaged in manufacturing a huge range of Acrylic Standard Frames. 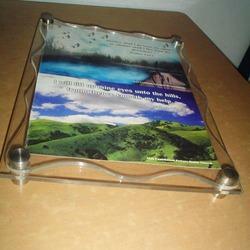 Our photo frames are highly appreciated for their perfect detailing and immense looks. We offer these products in a wide variety of designs, patterns, sizes and shapes to cater to the exact requirements of our prestigious clients. 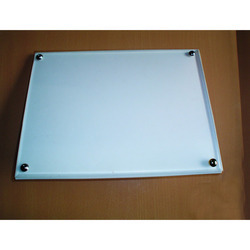 Medha Acrylics is the preferred name in the industry that provides a vast collection of A4 Acrylic Folded Frame. The offered range is manufactured in adherence to the preset industry standards and is perfect for keeping A4 sizes articles and pictures. 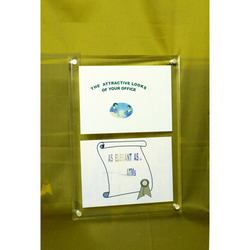 Homes, offices, restaurants and hotels are some of the application areas of these lightweight A4 folded frames. 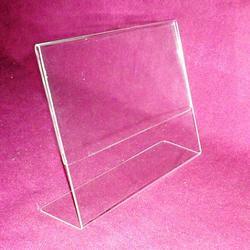 Medha Acrylics is the trusted name among our customers to provide Acrylic Card Frames. Made available in several sizes, these lightweight and scratch resistant frames are common in hotels and restaurants for displaying menu items. 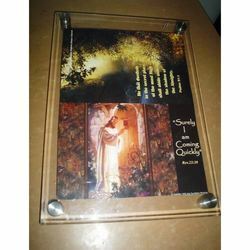 These frames hold two sheets back to back for double sided viewing. We provide these frames at reasonable rates. 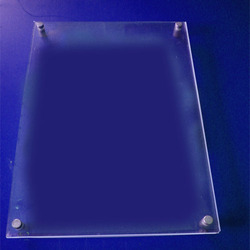 Our company is engaged in the manufacture and trade of Acrylic Menu Card Frames that is provided with a flat bottom base. To meet the diverse requirements of our clients, we make use of premium quality material obtained from our dependable vendors. Ideal for displaying menu cards at hotels and restaurants, the presented series of dimensionally stable is widely applauded. 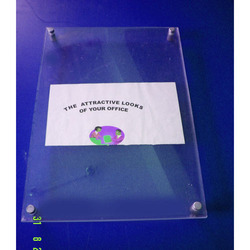 We are involved in the manufacture and trade of Acrylic Sandwich Photo Frame that is vastly applauded among our customers. 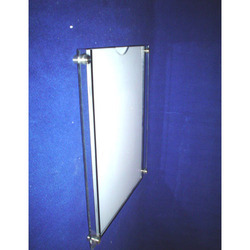 Ideal for gifting purposes, these quality grade frames are quite popular in offices for enhancing the looks as well. 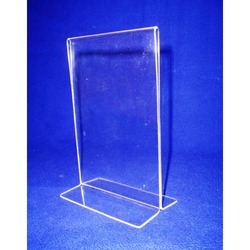 Manufactured in several specifications, these acrylic sandwich frames are provided with business logos and additional official information.